The Hausmann Industries Pulley Weights are used in rehabilitation and exercise for wheelchair and ambulatory patients. 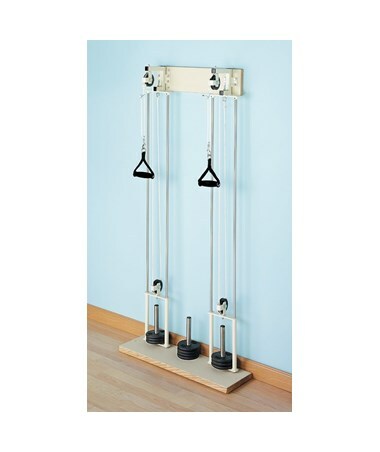 They are suitable for elbow, shoulders, chest, and other upper extremity exercises. These Pulley Weights feature wall/ceiling and floor plate, with "smooth action" sets of nylon pulleys. Disc weights can be added on each side, in 2 ½ lb. increments up to a maximum of five (5), 2 ½ lbs per side. Rod guides are made of stainless steel, as it carries the weight vertically. Handles are covered with ergonomic foam for patient comfort. 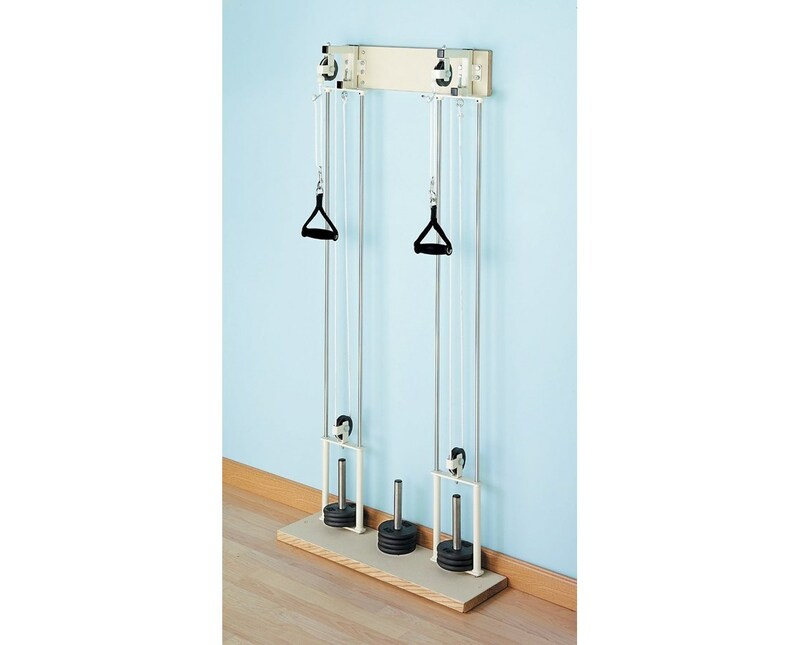 Floor and wall plates have rubber bumber stops that ensure a smooth and quiet operation during physical activity. Wood construction are pre-drilled and covered with almond styrene for easy attachment. Ready-to-assemble for convenience. Wall fasteners are not included. These Pulley Weights have a capacity of 25 lbs.